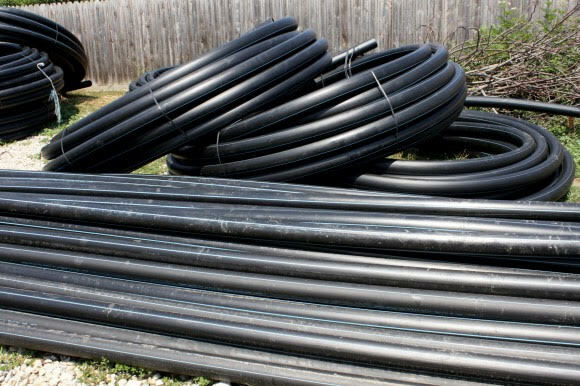 Water utilities have a number of options when it comes to their pipe needs, and HDPE pipe is certainly worth considering. Is it the right solution for you? We can provide a couple of reasons why it’s an option worth entertaining and possibly implementing. HDPE is highly effective at weathering the effects of the environment and Mother Nature, which means it is incredibly resilient even when conditions are rough. On top of that, it is practically leak-proof thanks to its thermal fusion which ensures a solid connection of pipe free of even tiny leaks Utilities do not have to spend valuable resources dealing with high levels of wastewater or sending out staff to examine leaks. There may be a scenario where a trench isn’t as straight as it could or should be. With HDPE pipe, there is less of a need to worry that the pipe will crack from being bent. Because of its material, it is highly resilient to being bent and its flexibility also makes it resistant to fatigue, significantly reducing the odds of weak points developing in the pipe. Miami International Machinery & Equipment Corporation (MIMECO) specializes in industrial equipment and machinery supply. We have more than two decades providing professional solutions in The Guianas, the Caribbean, and Suriname, supplying brands like Performance Pipe, McElroy, Carboline, and more. With our years of experience working as exporters and purchasing agents, we look forward to supplying your company with robust, quality products and solutions at the best prices. Call 305-570-3831 for additional information on our product selection or industrial equipment rentals. Miami International Machinery & Equipment Corp.